There’s nothing keeping you from writing and releasing a constant stream of new music, but let’s think about what makes music good for a minute. 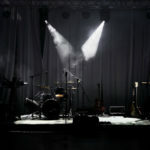 Albums sometimes take years to make which is one of the reasons many artists are opting to release music in smaller and more manageable chunks. But the time it takes to create an album ends up being a huge built-in benefit. Great music can’t be forced and musicians often need time to develop something they can really stand behind. Writing something and releasing it as soon as possible leaves you at risk for making rushed music that doesn’t reach its potential. Putting out an album or even an EP is a big deal for an artist. In terms of creativity, it’s a chance to weave together musical and lyrical ideas into a defining cohesive artistic statement. Music released together like this gives blogs, radio outlets, and traditional press a reason to feature and promote the artists who put the work into making albums and EPs. But when music is split up into singles, this promotional and creative potency gets watered down significantly, even if the released songs are part of a cohesive group of songs. 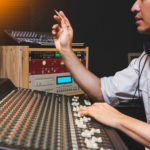 Press and media outlets aren’t used to the ways the music climate is changing and this can be frustrating, but albums and EPs are seen as releases that indicate that an artist is bringing something serious to the table. Putting out music in a way that prioritizes frequent releases over larger cohesive offerings can hurt your chances at finding media coverage and an audience for your work. Some artists view releasing new music like putting quarters in a slot machine by hoping each new song will be successful. But prioritizing putting out lots of music over making music that’s actually good and thoughtful are two different things. Listeners want to hear something that grabs and compels them in a meaningful way, and churning out song after song won’t do you any favors unless you’re able to make everything you release solid and filled with artistic integrity. Also, releasing music as often as possible makes it difficult or even impossible to promote your work. Sure, the attention span of your fans is probably a lot shorter than it used to be, but if you keep screaming at them to listen to your new single every month, they might just start tuning you out after a while. This leaves you at risk for putting out great music that never gets heard. Yea I find takes time in most cases to release that number 1 single that grabs my listeners attention .Working on one I like now COWGIRLS RODIEO`S &TUCSON SKY`S …..A STORY ABOUT THE TIME I MET EVIL KNIEVEL IN THE GREAT OLD WEST …YES I WANT A HIT BUT HOW MANY MUSIC LOVERS LIKE EVIL KNIEVEL. ?…I THINK ITS A GREAT SONG BUT THAY DECISION WILL BE LEFT TO YOU ALL .. Whether or not your audience knows Evil Knievel doesn’t have to be an issue – it depends on how you write the song. Who says you need to spell out the name of your hero? If you keep it unknown, the mysterious element becomes a compelling one. Then later you can explain what the song is about, allowing the listener the opportunity to know the song, and its writer, more intimately. 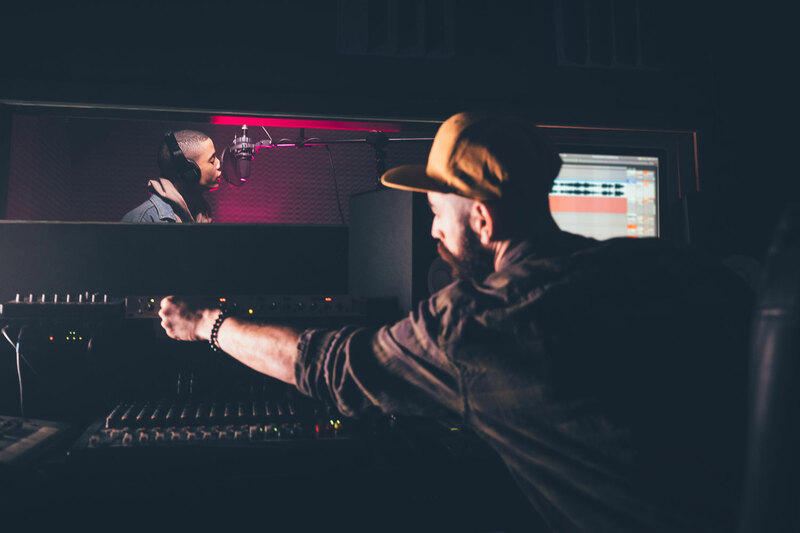 Giving your listener too much info sometimes hurts the creativity of the lyrics and the rewarding intrigue of discovering the back story of a well-written song. In addition, leaving it anonymous allows the audience to ‘fill the void’ with their own idea of who that hero is… making it more personal and adaptable to their own experience. Always a good thing. I agree with most of your view,however i believe keeping making music improves the skills of making good music and having the option to choose the best between many songs. Most of famous artists usually select best songs of various songwriters but for us small artists we need a pool of songs that we create ourselves .We should just avoid releasing singles as you mention too often and rather go for albums . Wowza Eddie B. You are a prolific beast. & you’re an inspiration. Thank you for sharing this Patrick, it speaks to me a lot. There are so many components in releasing an album that go way beyond the music itself, it’s really hard to controll them all and I still haven’t found the key to make it work for me yet, after 2 albums. I’m convinced of my musical creativity but struggle a lot when it comes to managment, social media & marketing. I get depressed when I get the feeling that those fields are sometimes more important than the content itself – and turn my back on them even more, it’s a vicious circle. But as a musician you also want your music to be heard so you have to play the game by its rules, I guess. Tough time to be making music in. I keep my eyes wide open for creative solutions that serve the music best. Thanks again for your thoughts on it! Hi I am fairly new to the whole ReverbNation thing even though I have been in and around music my whole life. This is new to me and I would definitely like to know more about this and how it works? How you have generated that revenue and packaging with ReverbNation. I would like to get into more of the live seen and sales of it? Say no more i completely agree will all this and i think you also understand this with more and more experience working in the music industry. I would recommend releasing an album or ep in its entirety, then over time releasing videos featuring those songs to rekindle excitement in your music. I do it all the time with Arseterror…but harsh noise/power electronics isn’t really a career booster…so…. For me I think it’s a great idea that I should give a shot and I mean the album idea but also one or two singles a year won’t be such a bad idea considering our current generation.